When Bree learns that her brother Devin, her sister Keely, and her friend Lil will set out for Ireland, she longs to go with them. Instead, Mikkel asks her to be a cook for voyage to Greenland. Somehow her excellent food becomes inedible and the Vikings think shes trying to sabotage their voyage. Join Bree and Devin for more adventures in this fourth installment of the Viking Quest series. 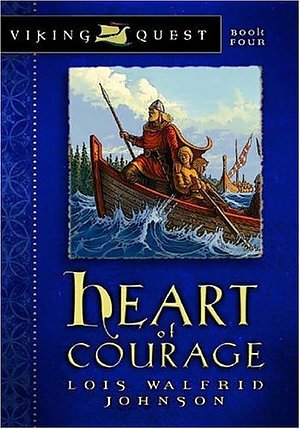 Heart Of Courage by Lois Walfrid Johnson was published by Moody in March 2006 and is our 28096th best seller. The ISBN for Heart Of Courage is 9780802431158. Be the first to review Heart Of Courage! Got a question? No problem! Just click here to ask us about Heart Of Courage.